In this tutorial I will teach you how to install and set up the BuddyPress social networking plugin. Great video. I have followed all your steps, but when i log out and click back to my site, i am only able to log in, can you please help. Glad the video was helpful. Can you elaborate on the problem? Go to Settings > General. Make sure you check “Anyone can register”. Also go to Settings > BuddyPress > Settings. Check “Show the Toolbar for logged out users”. All that is done, but i only have the option to log in. Thank you, problem solved, it seemed as if i needed to update my site. Hi, is there a simple way i can customize my registration page or is there any good plug-ins that you could recommend that would do something similar? Do you want to customize the look of it, or the content? To change the look you need to get your hands dirty and edit some CSS. Log out of your site and head to your registration page. Then start inspecting the code to see which styles you need to edit (following that tutorial). I have set up Buddypress, assigned pages, set extended profiles- but, I cannot find where to view the extended profile group I made. I have a base group, and a work group. I want users to be able to view and search the extended profile group also- for instance, search for all members in a particular city. Please, how can I fix this? I have been searching a while to solve this. When editing a profile, you can click on your username from the Toolbar at the top and navigate to Profile > Edit. Then click on the “Work” tab and you can edit the fields for that profile group. For search, all fields should be searchable by default using the basic “Search Members” from BuddyPress. If you’re using the BP Profile Search plugin, you’ll need to go into its settings and manually add every profile group field you want it to be able to search. Go to Users > Profile Search and check the fields you want to be searchable. 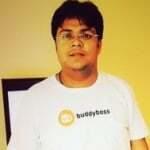 What should be done , install buddypress first, then a theme or a theme first then buddypress ? You could do either order and you’ll get the same result, so it doesn’t really matter much. I think it depends on if you plan on using BuddyPress or not. If you know you will use it, you might as well set up BuddyPress first and configure it. If you’re not sure about using BuddyPress or not, then set up your theme first. the order of installing was a of huge importance for me! Theme or Buddypress first or later didn’t matter much indeed like Michael said. But first buddypress then (what i use) sensei, social learner theme, buddypress for sensei. So anyone having trouble with buddypress not showing up in your sensei social learner enveronment, install buddypress FIRST. I want the users to see all options of the menu after they are logged in, but do not know how to make that? Thank you for your excellent video tutorial. This tutorial was very helpful. Im having trouble after signing users up. We can fill out all of the information in the new profile fields, however, once we press submit /”complete signups”, no data is stored and no users are created. I’ve had multiple people try multiple times and no new users are showing up in the backend and none of the pictures they are uploading are being stored in media. Brilliant tutorial, thanks heaps mate! Thank you for taking the time to make a simple easy to follow guide. Helpful video’s like this give people equal opportunities to learn how to develop, enhance and design website social media options without years of IT schooling. Thanks Mark! Glad you found it helpful. Cheers back from America! though I hava some troubles with changing the permalinks. Everytime I change the permalinks to anything other than default (example given: http://fitconnect.nu/?page_id=74). When changing the permalink I see a 404 error. I’m not quite sure what that issue could be. You may want to contact BuddyPress for support with that issue. Thanks for putting that together it was really easy to understand and very helpful! Thanks you for a great video you have saved me a lot of headaches. Hello Sir ,I got a question . I want to do a website which has users .Each user will have his/her own profile . In this website one user will want to search a key word to find the another user. For example in blablacar.com users just type in search button where to go and they find the drivers . how to set up log in page ?? Hey Rhonda, make sure you have registrations open on your site at Settings > General, check “Anyone can register”. And in Settings > BuddyPress > Pages, set your Register page to the one you had created. Is it possible to create a State –> City drop-down where the city drop-down is dependent on the state drop-down, and I don’t have to manually input every city/state combination? Password: Use the email accountâ€™s password. I’m still having trouble. They sent me to your video. Help! This is a WordPress or hosting issue. You can try contacting your host for known issues or Try downloading one of the WordPress SMTP plugins. Please contact WordPress for additional help. Hi, how long roughly does it take to setup buddypress on a website site typically? Once WordPress is installed it only takes a couple minutes to install and configure BuddyPress. When trying to set up Activate I am asked for an API. What is it and where do I find it? Thank you! Hi Cynthia, Configuration of BuddyPress do not have any API setup.Please create a support ticket if you still have any issue. Really appreciated, Can we apply themes like with more functions in it? Yes, you can customize your site to look/function like twitter or facebook. Thank you for taking the time to make a simple easy to follow guide.